From 2002 and series 2, comes Mekaneck, a Heroic Warrior. 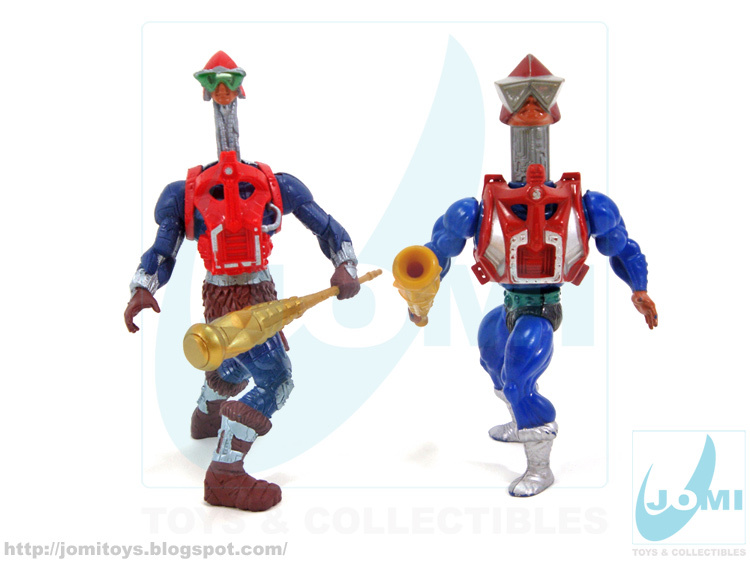 Dark Blue (always a top color for figures!) 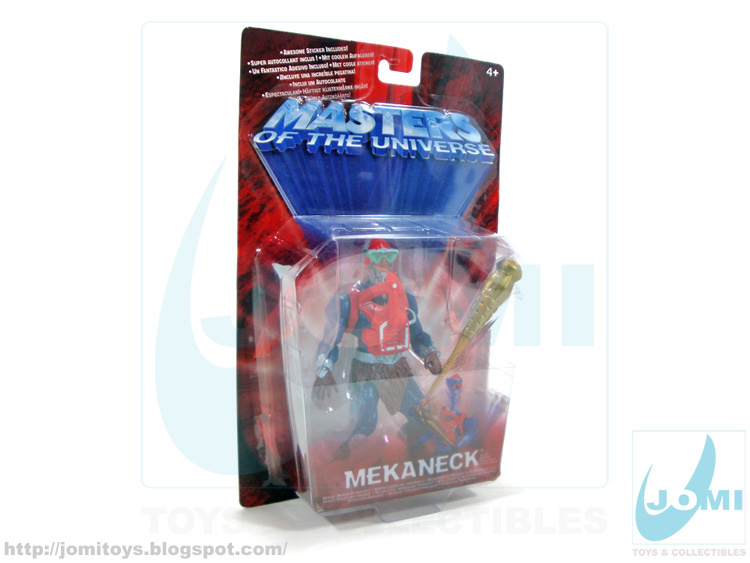 and still with its red armor, the ability to stretch his neck is indeed Mekaneck´s trademark. One of the hardest figures to find when it was released, it has great sculpting and a couple of very nice perks. Brilliant remake of the vintage figure, with all-around nice upgraded details. 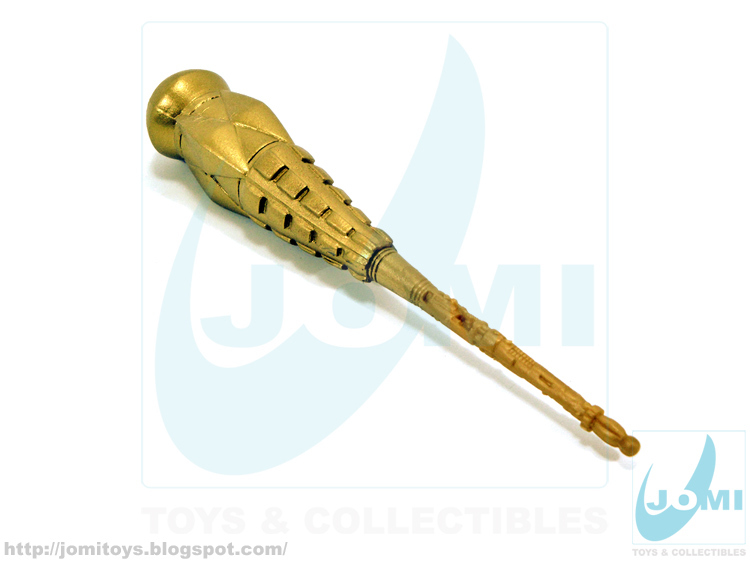 Included accessory, the gold mace club. 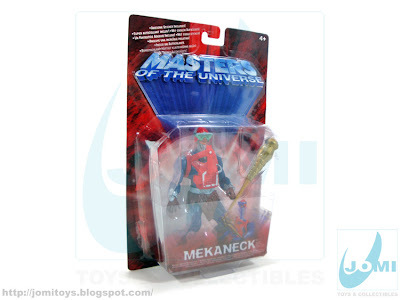 Mekaneck´s... neck can be extended by twisting the torso. 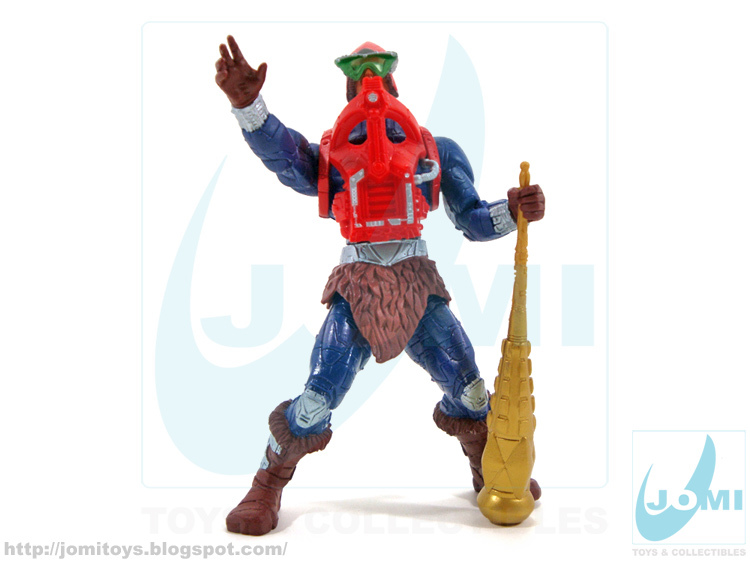 It moves the arm in a "clubbing" fashion by pulling his left hand up and releasing. The cool detail? 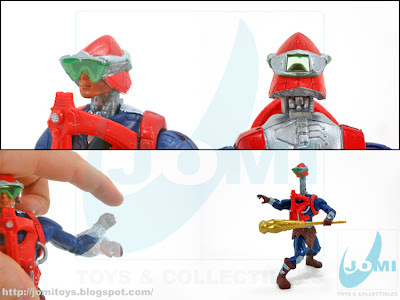 You can see with Mek´s goggles. Too bad they´re not magnifiers. That would be awesome! 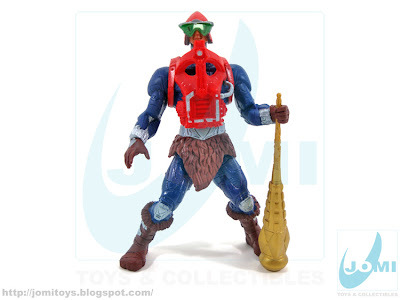 Mekaneck still stands as one of my favorite MOTU figures. And this version is no exception. 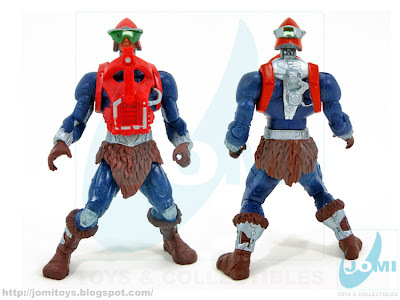 I have this one and he is very cool. Yes, it is. Especially the little details. And the fact these 2K figures have the same height meaning they can use the old sets!